Built in the heart of the commercial district of Abu Dhabi, Al Manzel Hotel Apartments perfectly captures the city’s spirit with its warm and vivacious atmosphere. Ideally situated for business and pleasure, the exquisite hotel apartments combines the finest traditions of Arabian hospitality with all modern comforts. The hotel apartments’s beautiful and cozy interiors offer a peaceful refuge amidst the bustle of the town. In short, we fulfill all our guests’ expectations with passion and creativity. 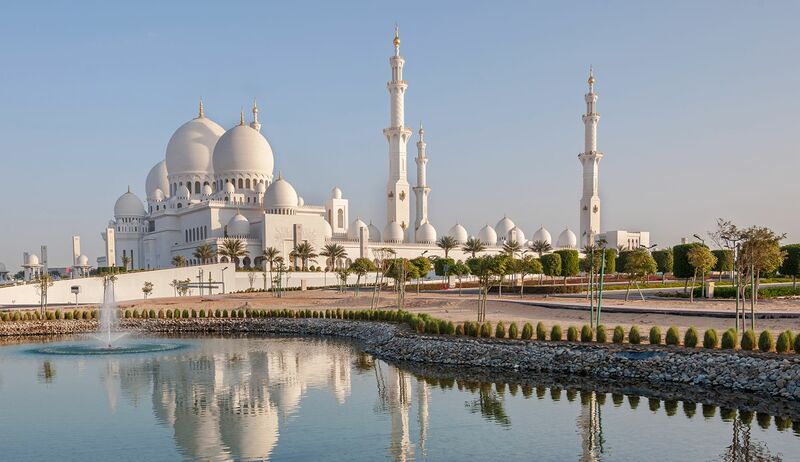 Abu Dhabi offers all the attractions of a top class international resort… plus a taste of something extra. It combines year-round sunshine and superb facilities for leisure and recreation with the spice and mystique of an Arabian adventure. Rooted in the ancient culture and heritage of Arabia, the strong tradition of desert hospitality lives on in the genuine warmth and friendliness that welcomes the visitor. P.O. Box 129666 Abu Dhabi, U.A.E.